"Apparently the landlord has sold the shop to another charity and it is going to be their furniture shop. Staff lovely and Alex the shop manager has been with Fara for quite a few years. They were only told last Friday." 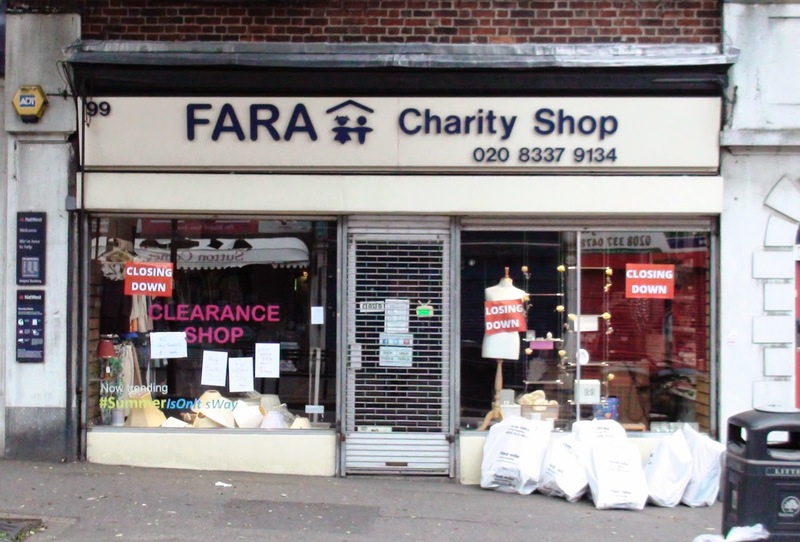 The FARA charity which was set up to provide for Romania's most neglected and abandoned children still has around 50 FARA charity shops around Central and South West London so there are still ways you can support this important Charity. It would be nice to see something other than another charity shop in Central Road. Perhaps a charity furniture shop might be considered as some sort of compromise (trying to look on the bright side...). It will be interesting to see what happens.